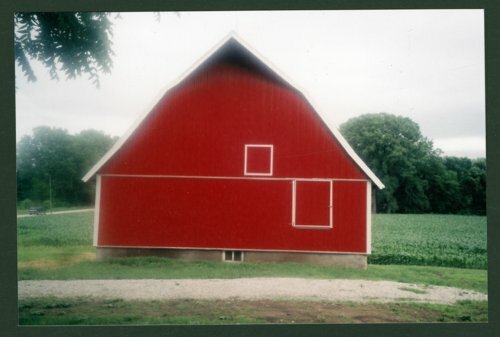 Here are four photographs showing a barn on Arlen Kirkwood's farm in Shawnee County, Kansas. They show the barn before and after it was remodeled. The farm is located on NW 86th Street near Landon Road.